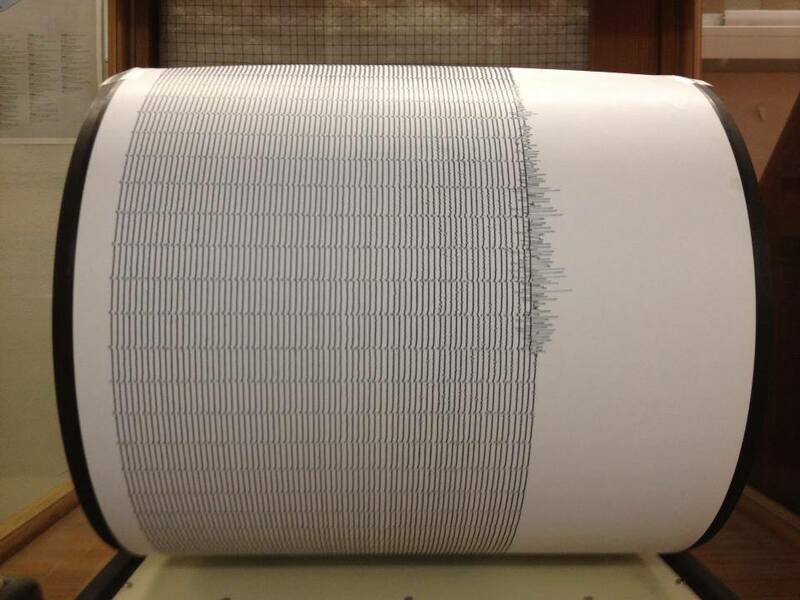 This is a very cool earthquake! In the last few days, there was an earthquake swarm in the southeastern Gorda plate. This earthquake released accumulated strain along the faults in that region. A result of these earthquakes is that the stress field in the region changes for a short period of time. These stress changes are very very small compared to the amount of stress typically released during an earthquake. So other faults in the region may have increased stress or decreased stress, depending upon their orientation. Here is the USGS page for this earthquake. 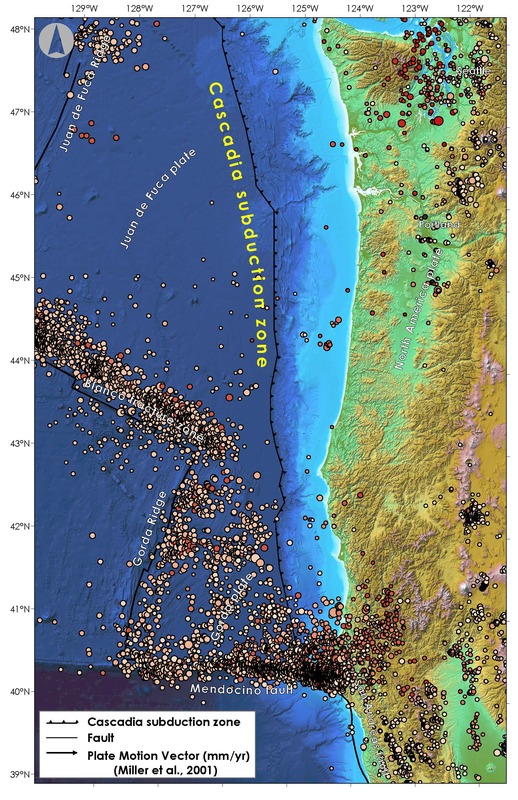 Here is a map showing the epicenter of today’s earthquake in the central western Gorda plate. Here is an early moment tensor (Mww). There may be updates to this as this is an early data set.Looks like a normal (extensional) earthquake to me. I tell my students that normal/extensional earthquake moment tensors and focal mechanisms look like oreo cookies. There is a primer down lower on this page that may help explain what different faults and what moment tensors are. 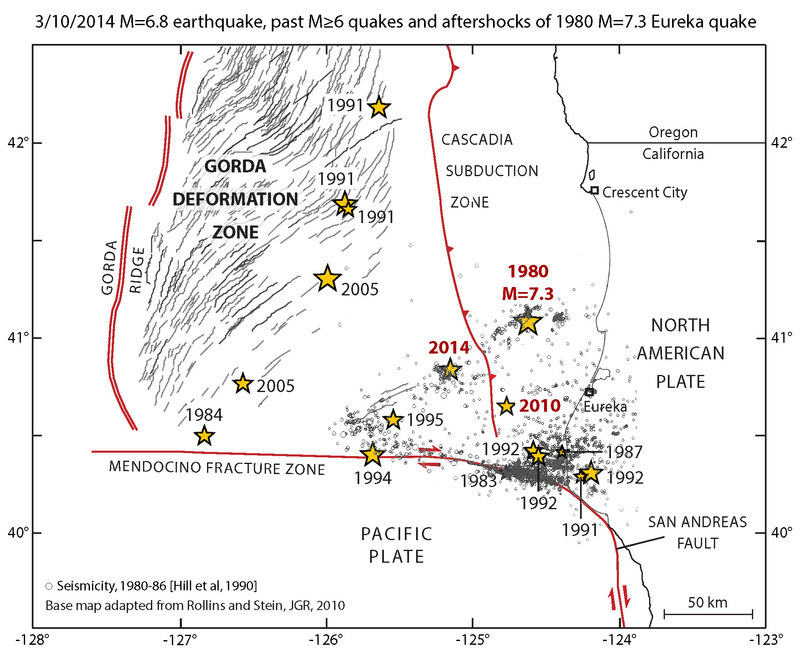 The Cascadia subduction zone is formed where the Gorda and Juan de Fuca plates subduct northeastward beneath the North America plate. Here is a figure that Alan Nelson put together. I have updated it with material from Jason Chaytor’s 2004 paper. The Gorda plate has many strike slip faults that have formed as a result of the internal deformation within the Gorda plate. This deformation is driven by the regional tectonics. 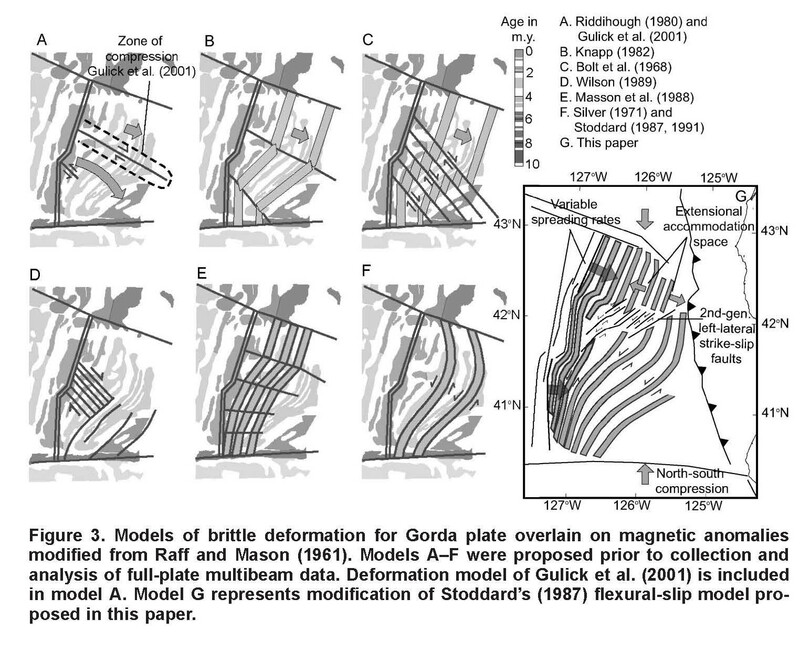 Chaytor et al, 2004 is the most recent paper that does a great job at summarizing the various tectonic models. Here is a figure that shows a summary of their models. 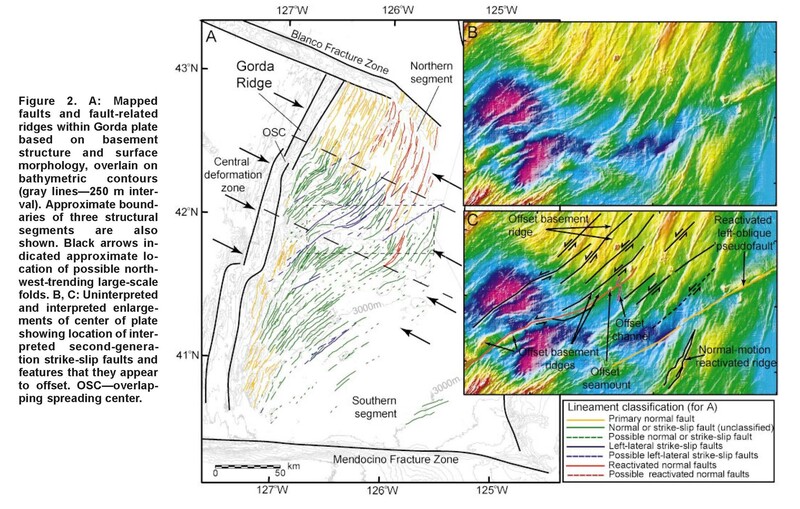 Based on modeling conducted by Rollins and Stein (2010), stress changes from earthquakes in the se Gorda plate may extend as far as today’s M5 earthquake, but the changes in stress at that distance are very very low. It may be unlikely but still possible the earthquakes in the se Gorda triggered today’s earthquake.Here is a map Rollins put together in the last few days regarding these GP earthquakes. 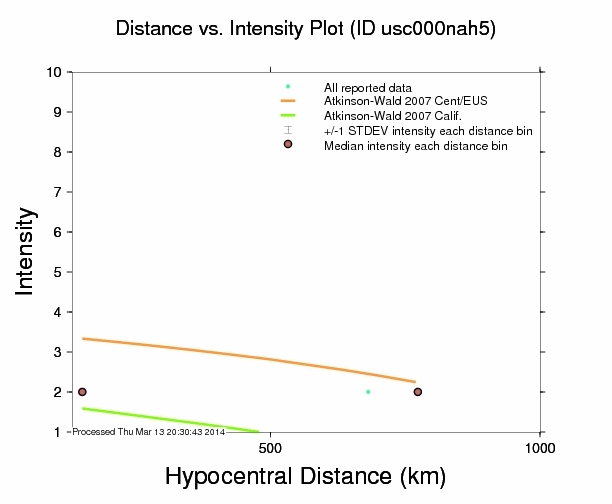 Here is a plot that shows the shaking intensity of this earthquake as it decreases with distance from the epicenter/hypocenter. This plot is based on the responses from people who fill out a “Did You Feel It?” form. don’t you mean 2014/03/13 ?